The mother of three of Floyd's children is asking for $20 million in damages after the floyd told Yahoo's Katie Couric last month that she was on drugs and he was just trying to hold her back during the altercation. Mayweather was arrested in September 2010 after authorities said he punched Harris at his Las Vegas home, where she was living with his two young sons and a daughter. The fighter pleaded guilty 14 months later to a reduced charge of misdemeanor battery and two counts of harassment. He was sentenced to three months, and he served two. In her lawsuit, Harris says the Floyd, came into the home as she slept on a couch and began punching and kicking her. He also dragged her around the house in front of their children, the document says. Mayweather, who didn't immediately respond to CNN's request for comment on Tuesday, has denied he beat her. He told CNN's Rachel Nichols in September there were "no pictures, just hearsay and allegations." He told Yahoo's Couric last month: "Did I kick, stomp, and beat someone? No, that didn't happen. ... Did I restrain a woman that was on drugs? Yes, I did. So if they say that's domestic violence, then, you know what? I'm guilty. I'm guilty of restraining someone." She denied being a drug abuser or drug addict, and her attorney said in the court filing: "It was not Mayweather's 'restraint' of Harris that caused her serious injuries, rather it was his beating of her." The lawsuit says Harris had to go to the hospital after the early morning incident. She was treated for head, facial and bodily injuries, the document says, and suffered cuts and deep bruises. The boxer is coming off the richest payday of his lucrative 48-fight career. 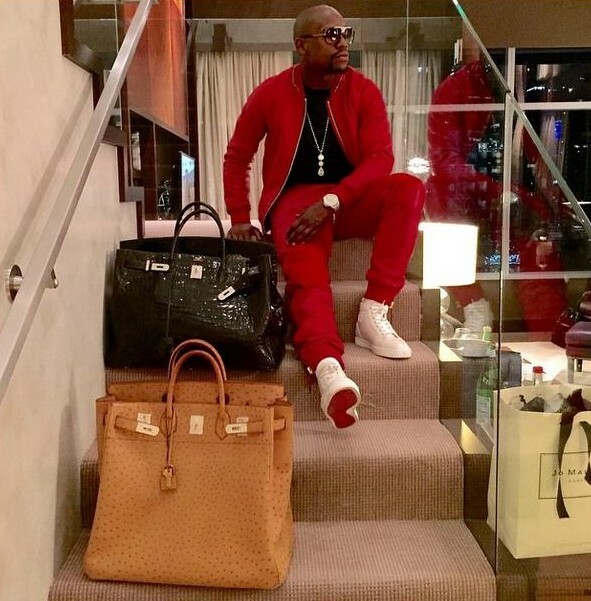 Mayweather has already received a partial payment of $100 million toward his earnings for Saturday's fight against Manny Pacquiao. Once the total money from pay-per-view sales is figured out, he could make as much as $100 million more, sports media experts have said.